I don't have a cat at home. We used to have many in our home while I was young. Not only cats but dogs, rabbits, guinea pigs and java sparrows. Now there are many cats around our house. None inside. There is one roaming around that looks old but majestic. 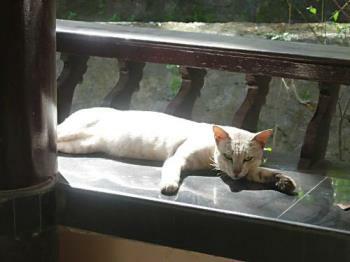 It comes to take rest on our veranda.